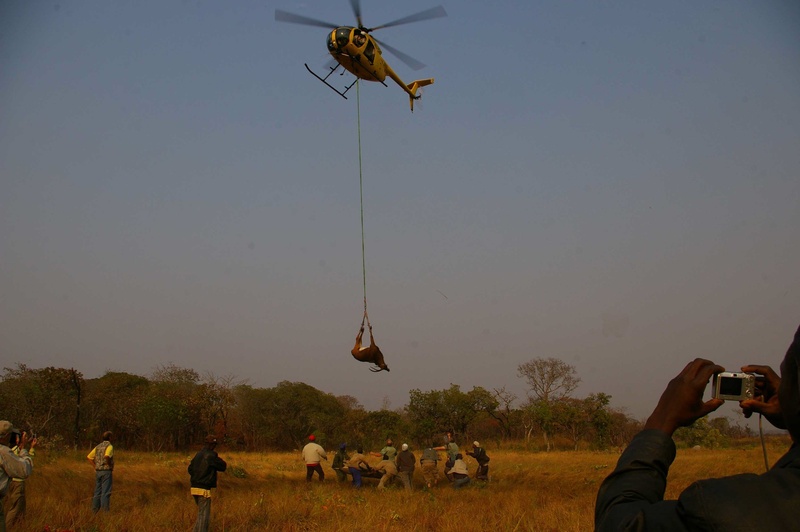 First ever full length film documentary on Angola’s giant sable features capture operation. You are invited to a sneak preview of the documentary film entitled Saving the Giant Sable Antelope, at the Viking Club, Thursday May 13th, at 8 PM*. Shot live on location in Cangangala National Park and the Luando Reserve over a seven month period, culminating in the capture operation last August to rescue Angola’s giant sable from imminent extinction, the film runs approximately 85 minutes and will be presented in English in full high definition. This is still a work-in-progress, and after the screening, filmmaker Kalunga Lima wants to hear your thoughts on the film, ie: is it too long, what didn’t you understand, what needs to be explained more? Kalunga Lima, General Manager of LS FILMES, is an Angolan filmmaker who grew up in Canada, and has been making films in Angola for 10 years. This is his first Wildlife project. The giant sable antelope is considered the most majestic of all antelopes and is found nowhere else in the world except in the province of Malanje. For more information visit this website’s Giant Sable page. 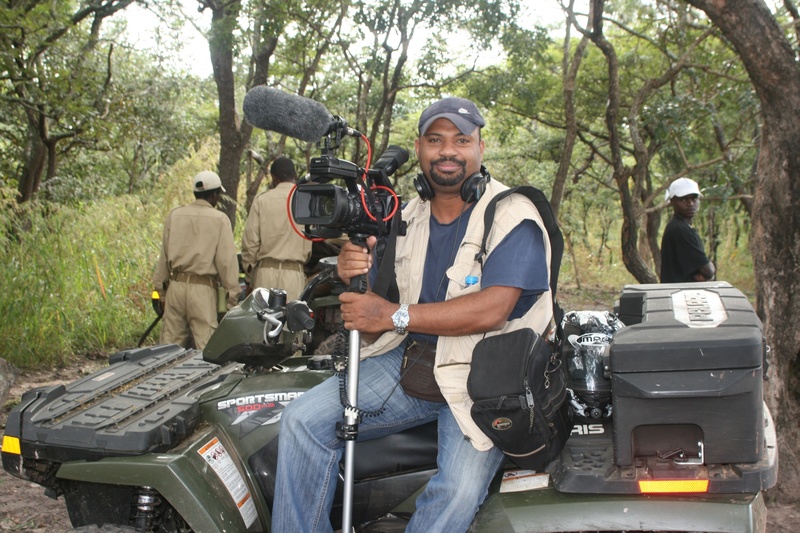 Filmmaker Kalunga Lima filming in Luando Reserve. Photo courtesy LS FILMES. *Please note, due to the length of the film we will begin earlier than usual. The Viking Bar will be open at 7:30PM. Everybody is welcome to attend this evening In close cooperation with the Viking Club, this event is offered free of charge. Alcoholic and non-alcoholic beverages and snacks are sold at the bar, $3.00 each. For a location map of the Viking Club visit our website’s Join Us page. The club is on the main floor of the ‘Predio Maianga’ at Rua Marien N”Guabi, No 118 in Maianga, across the street from the new Panela de Barra restaurant.